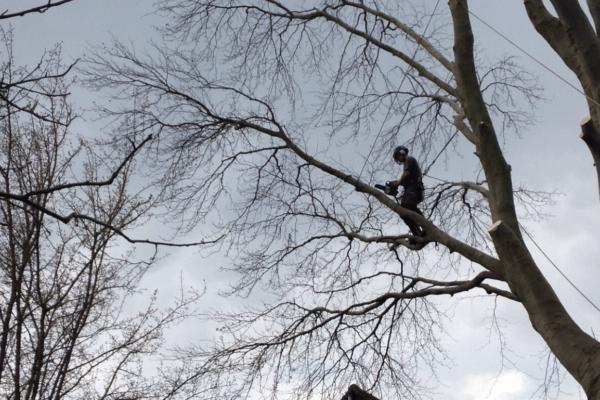 Are you looking for local and reliable tree surgeons? 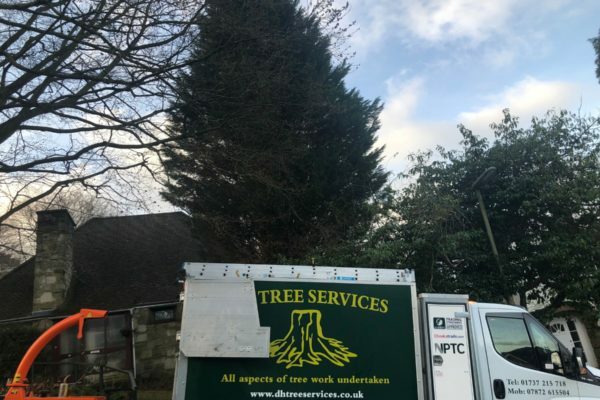 Here at DH Tree Services, we undertake arboriculture and tree surgery jobs for residential customers, local authorities and a variety of commercial businesses in Sutton, Carshalton and the surrounding towns and villages within Surrey. 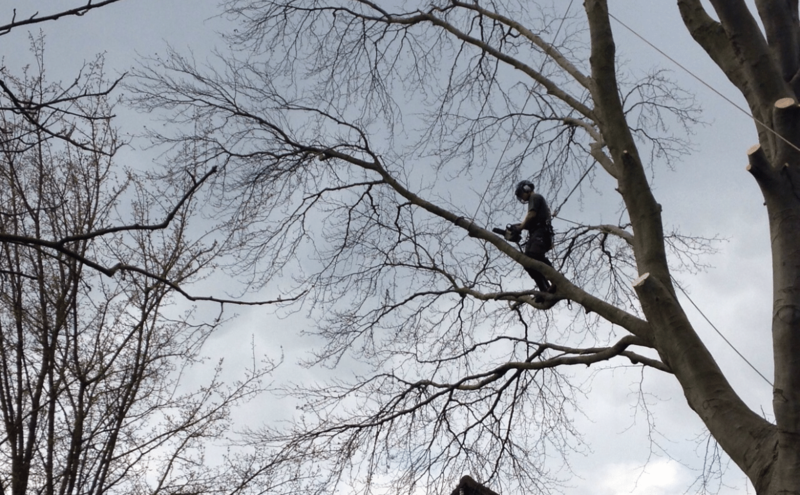 All of our arborists are fully NPTC-qualified to undertake every aspect of tree work and we are fully insured to carry out work in this specialist area, so you and your property are always in safe hands. We undertake a thorough risk assessment and detailed site assessment prior to any work commencing, to ensure a safe working environment. Following all enquiries, we will conduct a site visit to assess your requirements. This allows prospective customers to ask any questions they may have and for us to make recommendations about the best way to approach any work. We can then offer you a free, no-obligation quote for work, explaining exactly what will be carried out. 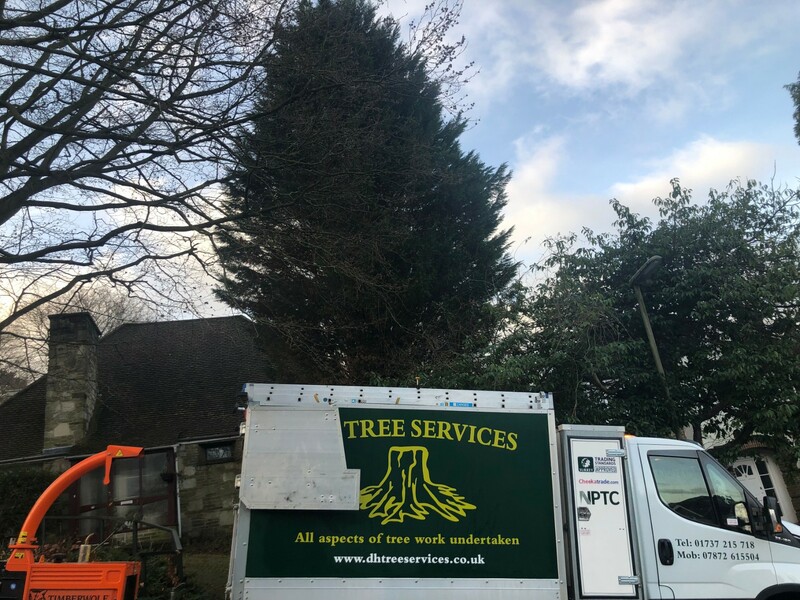 Before work is done, our tree surgeons will carry out legal checks to identify whether any trees are covered by Tree Preservation Orders, or whether they are in a Conservation Area. 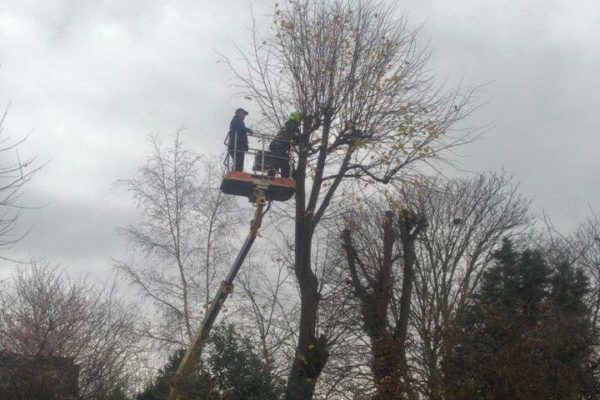 We can submit applications for tree work on your behalf to your local authority. We are Surrey Trading Standards-approved and proud members of Checkatrade. 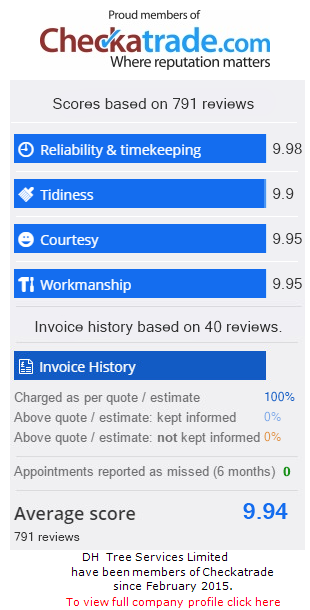 We have been operating in Surrey for many years and we are proud of our reputation for the quality of our workmanship and our excellent customer service. 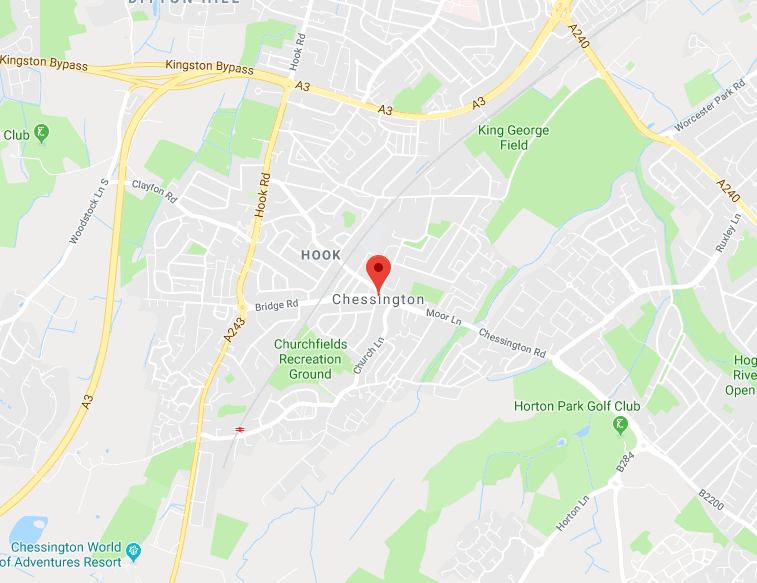 We have an in-depth knowledge of the local area and we are always happy to give advice regarding garden maintenance and planting and how to promote the health of plants and trees. 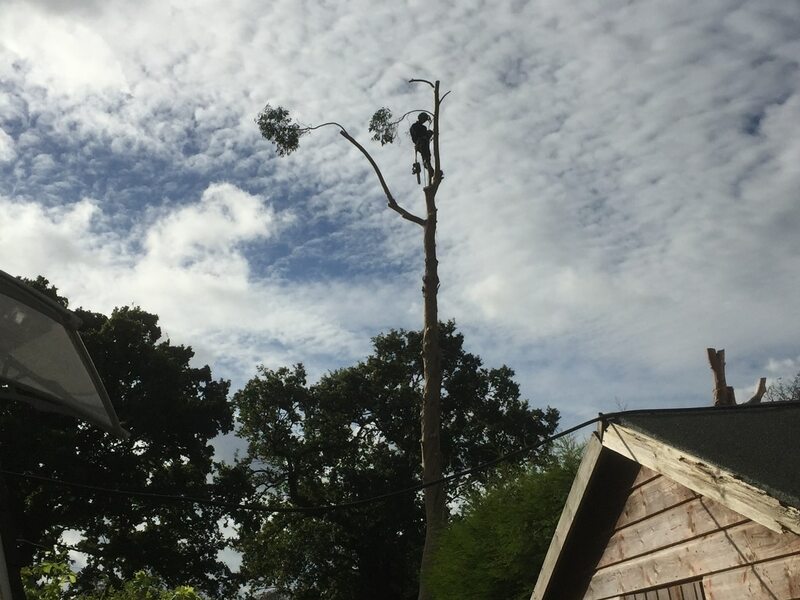 Our tree surgeons also work in and around Crawley and Oxted. We are passionate about the environment and the work we do. All garden and tree waste is always recycled and we can supply seasoned logs and wood chip. If you require further information, or would like a free quote, please call us now 01737 215 718 or 07872 615 504. 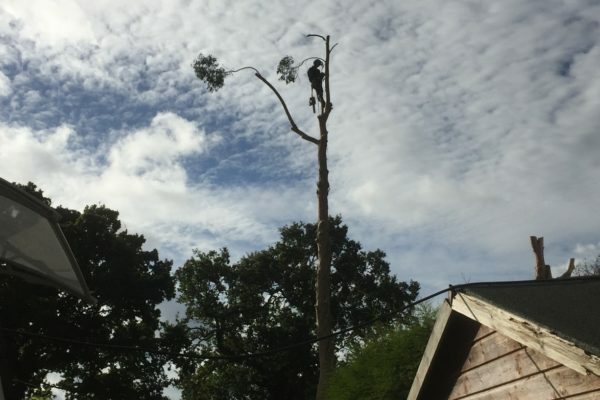 Our tree surgeons offer a number of tree services, to help you manage your trees, no matter what species size of condition. 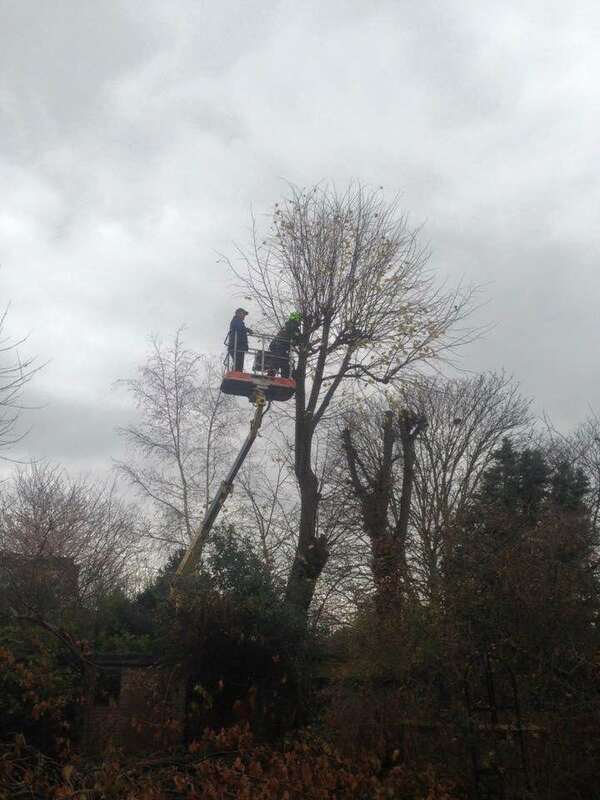 No matter what you need, you can always rely on our tree surgeons to deliver a professional job. 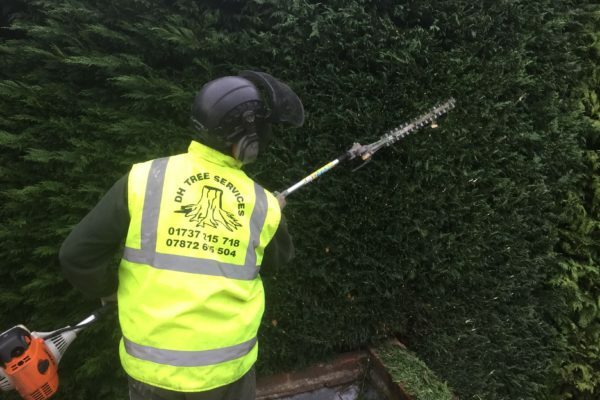 DH Tree Services provides hedge removals, hedge maintenance and hedge cutting throughout Sutton and Carshalton. From small domestic hedges to large commercial hedges, we cover it all. Frequent hedge trimming is important for the health of your hedges. Trimming out diseased or dead parts of the plant will allow for new growth and reduce the chance of insect problems. 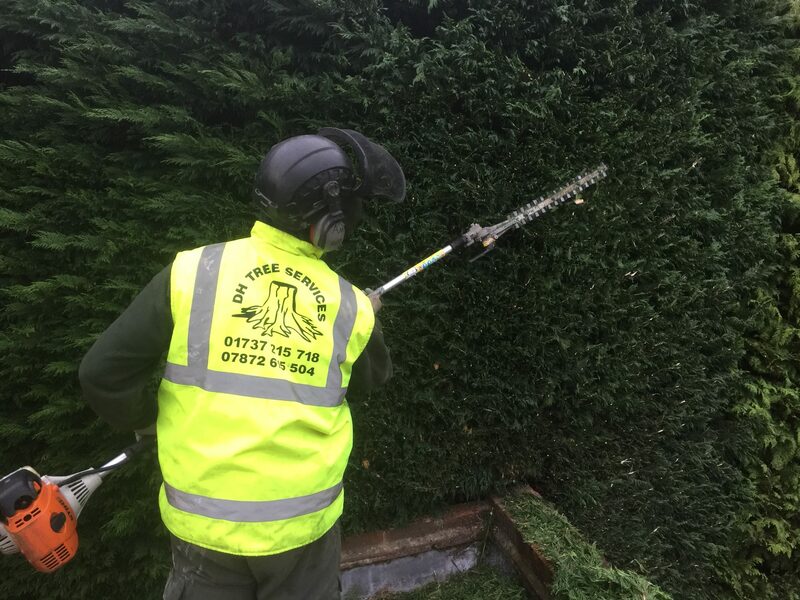 Trimming your hedges also means that they will allow for more privacy and will improve the appearance of your outdoor area. Finally, keeping taller hedges trimmed may reduce the chance of damage to buildings or vehicles during a storm. Hedges near pathways should be cut to prevent them from being a hazard. Once tree has been felled, they will leave an unsightly tree stump. 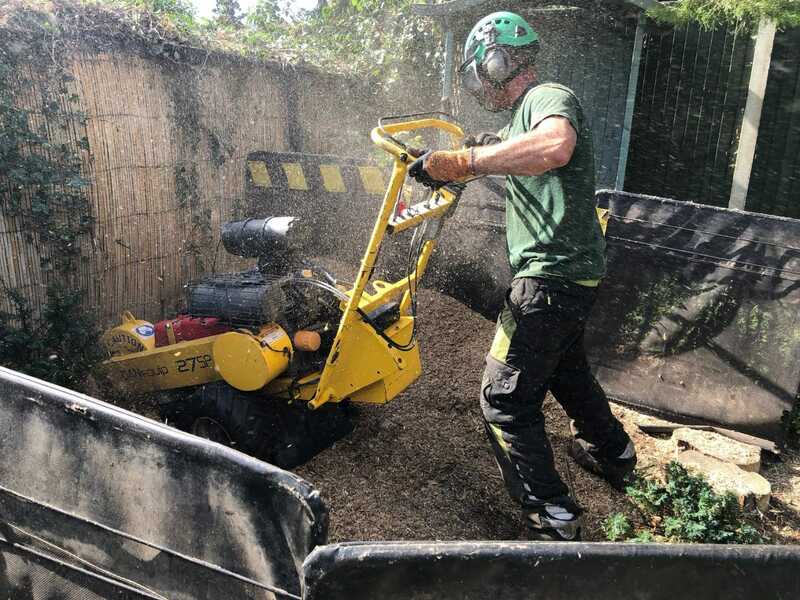 We provide a stump removals service – either by using a stump grinding machine or through using herbicide. 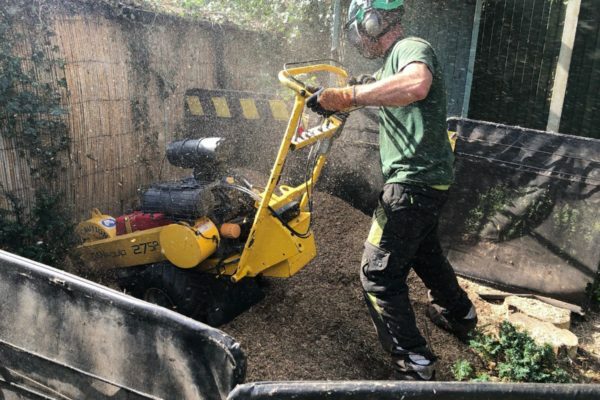 Using our range of up-to-date stump grinders means that your stump will be removed safely to make way for new plants or so you can re-use the area in another way. It will prevent the spread of disease from honey fungus. If one of your trees is diseased, its position has become an issue, or if it has been damaged in a storm, it might need to be removed. Sometimes pruning is required but if the damage is fundamental to the tree’s stability, then it may need to be removed on safety grounds. See an example of a tree removal in Barnes. We have a vast experience of felling trees and will survey the area first to establish the best course of action. We will check for Tree Preservation Orders (TPOs) and if the tree is part of a Local Conservation Area before any work begins.